Students should attend Premiere Orlando to learn about future opportunities and to keep up with current industry products and trends via the show’s creative presentations and competitions. Students can also create their own schedules of professional education with a varied lineup of student and early professional classes. There are also nail demos by CND, Gelish, Orly, and LeChat, among others. 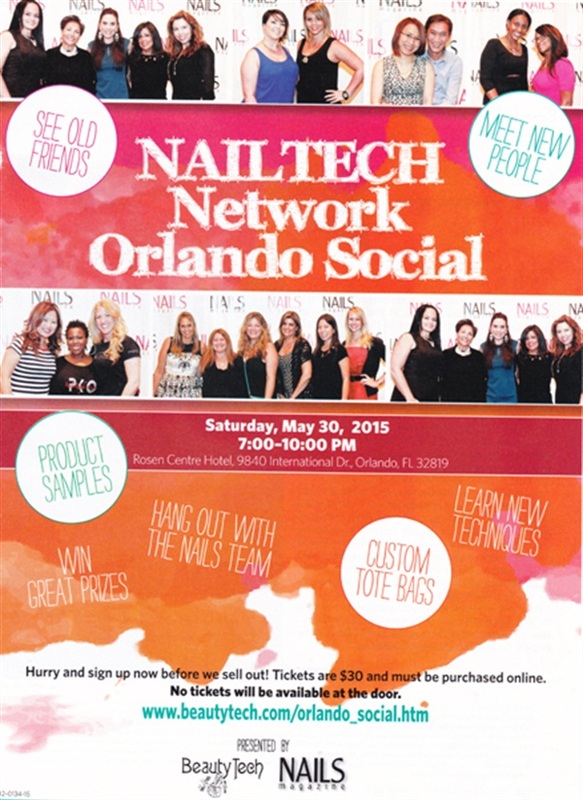 Additionally, all Premiere Orlando attendees are invited to stop by the NAILS Magazine booth to pick up a complimentary issue of NAILS, then party afterward on Saturday, May 30, from 7:00 P.M.to 10:00 P.M. at the NailTech Network Orlando Social with NAILS Magazine editors and some of our sponsors (tickets can be purchased here). This is great opportunity for students to talk to NAILS editors to see how they can be featured in the magazine and to watch demos from the best educators in the industry. Premiere Orlando will be held May 30, May 31 and June 1, 2015 at the Orlando/Orange County Convention Center in Orlando and is open to licensed salon/spa professionals, cosmetology students, and instructors only. Students over the age of 16 may attend with a valid student ID, active class schedule, active unofficial transcript, or student enrollment verification form. For every five student show passes purchased, Premiere will provide the cosmetology school with one complimentary Premiere Orlando three-day show pass for an instructor. All free instructor requests must be filed with Premiere no later than May 27, 2015. For additional information on Premiere Orlando and to purchase tickets, visit www.premiereorlandoshow.biz.